The Pneumex Vibration Platforms are used to increase blood flow and circulation along with relaxing muscles and ligaments. This has been shown to be effective with patients with muscle tension and soreness. Studies have shown that vibration at certain frequencies help to optimize muscle bulk, and by increasing blood flow, exercising on the Vibration Platform flushes out lactic acid quicker and thus reduces the soreness afterwards from working out. 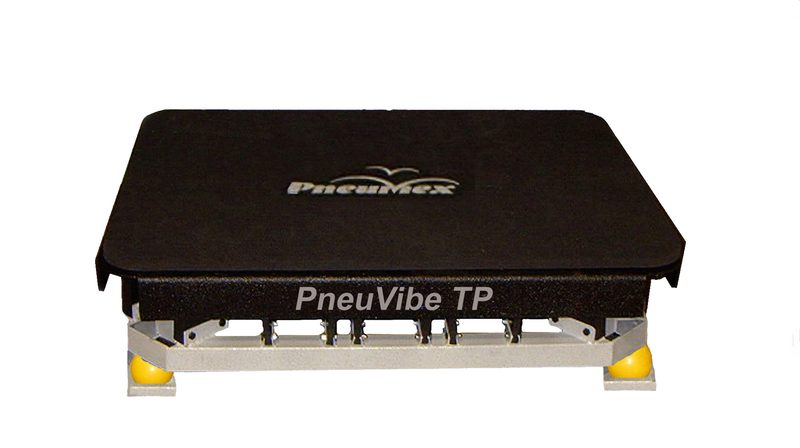 The PneuVibe Pro: An industrial platform designed to withstand the abuse of professional athletes. The unit is made of industrial steel, has the largest surface area of any vibration plate on the market. The PneuVibe Club: Easy step up and handlebars to help steady clients, adds a myriad of benefits to your patient's care.